I finally did it, I designed and built my own 3D printer. 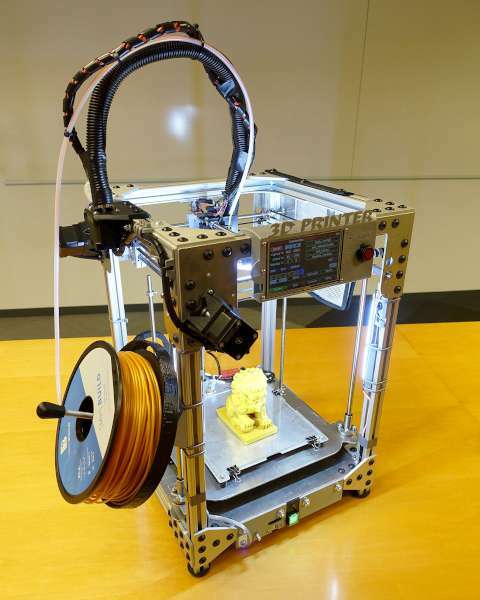 This is in no way “the best 3D printer”. Instead, this was an epic and nightmare project that exercised my ability to engineer and build my own CNC machine. Along the way, I figured out what I did well and what I did badly, mistakes were made and sometimes fixed, even ignored. You can find the build log on Eleccelerator project page. This entry was posted on Wednesday, April 10th, 2019 at 11:07 pm	and is filed under 3D fabrication. You can follow any responses to this entry through the RSS 2.0 feed. You can skip to the end and leave a response. Pinging is currently not allowed.